Let’s rotate figures in a plane. 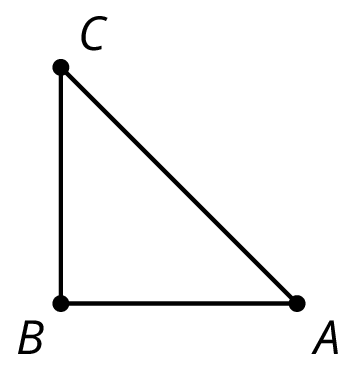 Rotate triangle $ABC$ 90 degrees clockwise around $B$. Rotate triangle $ABC$ 180 degrees clockwise round $B$. Rotate triangle $ABC$ 270 degrees clockwise around $B$. 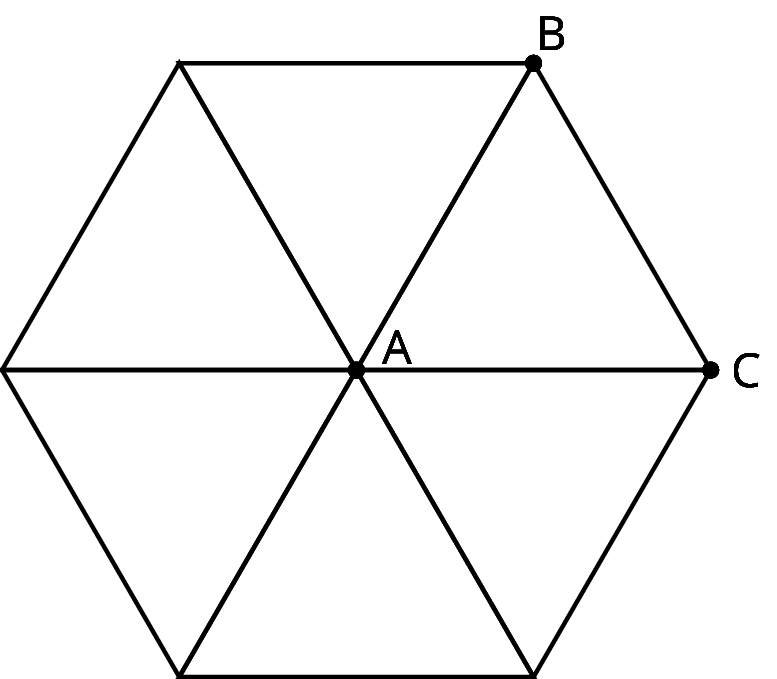 What would it look like when you rotate the four triangles 90 degrees clockwise around $B$? 180 degrees? 270 degrees clockwise? Create a segment $AB$ and a point $C$ that is not on segment $AB$. Rotate segment $AB$ $180^\circ$ around point $B$. Rotate segment $AB$ $180^\circ$ around point $C$. Construct the midpoint of segment $AB$ with the Midpoint tool. Rotate segment $AB$ $180^\circ$ around its midpoint. What is the image of A? What happens when you rotate a segment $180^\circ$? Here are two line segments. Is it possible to rotate one line segment to the other? If so, find the center of such a rotation. If not, explain why not. Here is a diagram built with three different rigid transformations of triangle $ABC$. Use the applet to answer the questions. It may be helpful to reset the image after each question. Describe a rigid transformation that takes triangle $ABC$ to triangle $CDE$. Describe a rigid transformation that takes triangle $ABC$ to triangle $EFG$. Describe a rigid transformation that takes triangle $ABC$ to triangle $GHA$. Do segments $AC$, $CE$, $EG$, and $GA$ all have the same length? Explain your reasoning. 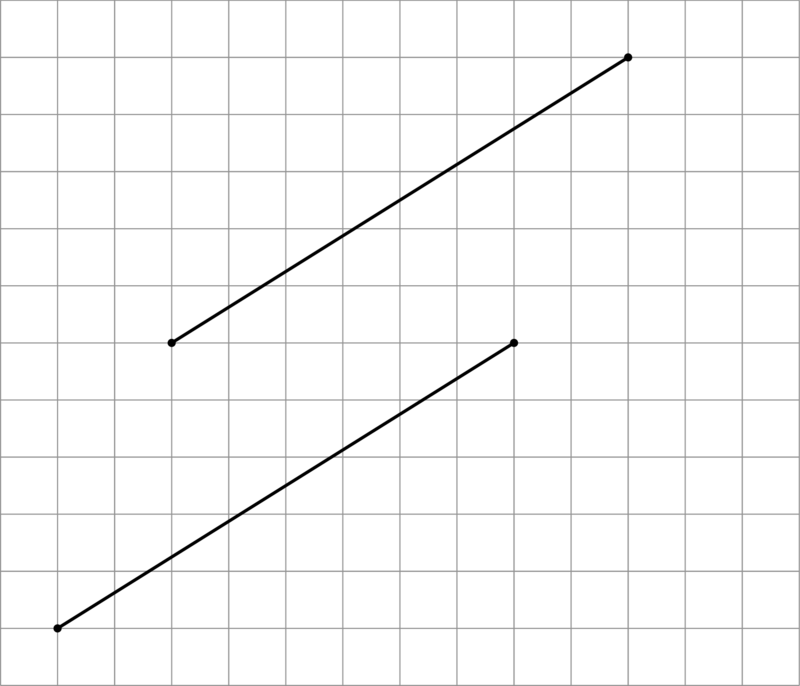 The segment maps to itself (if the center of rotation is the midpoint of the segment). 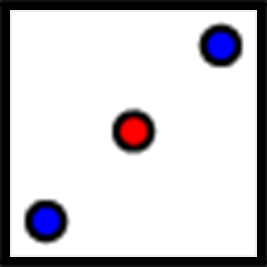 The image of the segment overlaps with the segment and lies on the same line (if the center of rotation is a point on the segment). The image of the segment does not overlap with the segment (if the center of rotation is not on the segment). We can also build patterns by rotating a shape. For example, triangle $ABC$ shown here has $m(\angle A) = 60$. If we rotate triangle $ABC$ 60 degrees, 120 degrees, 180 degrees, 240 degrees, and 300 degrees clockwise, we can build a hexagon.